If you’ve been told you need dentures, you’ll probably have lots of questions on your mind. That’s why we’re giving you 11 of the most frequently asked questions by new denture patients to help get you up to speed! And remember, if you have a query, call us anytime 1300 437 587. We’ll be happy to help! 1. What’s the average cost of dentures? 2. What’s a partial denture? A partial denture is a removable dental appliance that helps restore the function and form of your jaw by replacing one or several teeth. Partial dentures are made of a combination of acrylic and chrome, so they are strong enough to withstand the forces of eating while still looking like natural teeth. For individuals with missing teeth, partial dentures are a more affordable solution than other options, such as dental implants. 3. What are immediate dentures? Also known as ‘healing dentures’, immediate dentures are given to the patient to immediately insert after they have had their teeth extracted (pulled). Immediate dentures are inserted ‘immediately’ for several reasons. 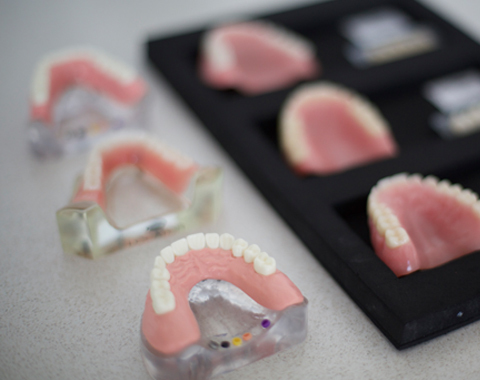 Immediate dentures can be made of the same high-quality teeth and acrylic as regular dentures. 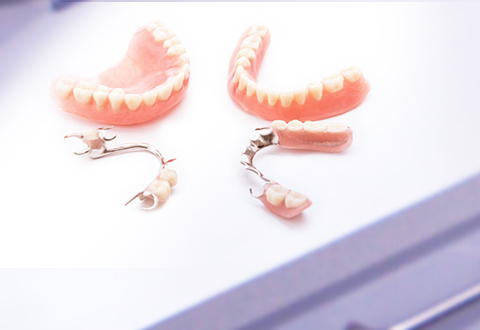 If your finances allow, we could also make a set of temporary immediate dentures (made from basic materials) to wear for the first three months while your gums are healing and taking new shape. Then, after the three months, we can make your regular dentures with more premium products. If you decide to have just the one denture created, it will need to be relined after three months to pick up any gum shrinkage from the extractions. If you decided to go for the two sets (one temp set, one regular set), we recommend you hang onto your temporary immediate dentures as an emergency backup set, in case you ever lose or break your regular dentures. 4. What’s a permanent denture/fixed bridge? Dentures are removable devices made by a dental prosthetist to provide you with teeth that make it more possible and comfortable for you to eat, talk and smile – and give the appearance of having natural teeth. However, some patients feel that they don’t get enough stability from regular (conventional) dentures and elect to have a full-arch rehabilitation, which involves dental implants and a fixed bridge. 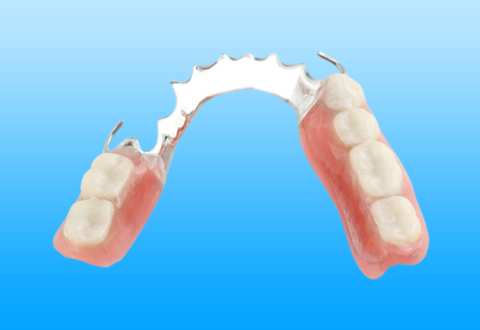 Technically speaking, a fixed bridge is not a permanent denture; however, the name ‘permanent denture’ is used by some to describe this permanent, non-removable, implant-supported device. 5. Why do you have to take dentures out at night? We recommend denture wearers take their dentures out at night so that the supporting tissue (gums and jaw) can have a chance to rest and repair. Once you have removed your denture, your mouth can also be exposed to the beneficial antibacterial agents that are present in your saliva. We recommend you wear your dentures at night, during the immediate denture stage, to further assist with the adaption process. 6. How do dentures stay in place? Dentures stay in place by fitting snugly to the underlying gum and bone tissue, with a thin layer of saliva between the gums and the denture helping to seal them in place. The more the denture can connect to the surface area, the better the seal. Over time, bone tissue may resorb, causing the bone and gum to change shape, making it increasingly difficult for the denture to fit snugly. This is why we recommend denture wearers have regular relines, so we can reshape the denture to fit securely, once again. Sometimes, patients need a little more help to keep their denture in place, so their dental prosthetist may recommend denture adhesive. A small amount of adhesive is placed on the fitting surface of the denture before fitting it onto the gum to help keep the denture stable. 7. What kind of food can you eat with dentures? If you wear dentures, at first, you must try to eat soft foods only. Unfortunately, in the early days, foods such as steak, raw vegetables, and raw fruit will be too difficult for a denture wearer to bite and chew. 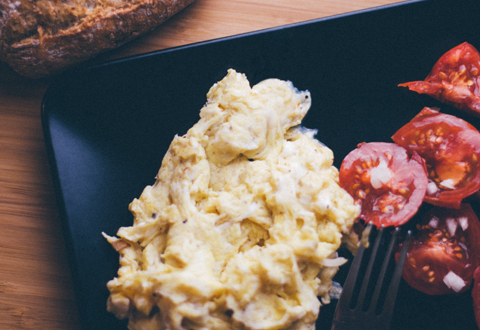 You’ll need approximately 12 months to introduce more difficult foods. Good choices include hot cereals, broth, soups, scrambled eggs, pudding, mashed potatoes, mashed or well-cooked vegetables, juice, yoghurt, cooked stews and pasta. 8. Can you chew gum with false teeth? 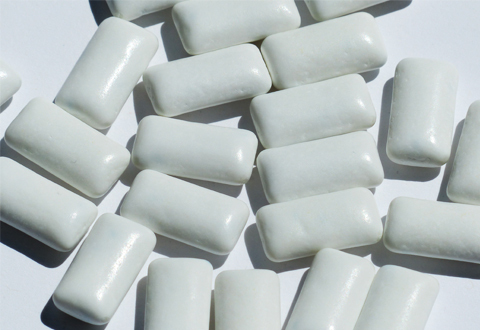 Chewing gum can help with saliva production, which is beneficial for denture wearers. Some brands are better than others, so it may take a little trial and error to find the brand that best suits you. We recommend sugarless gum, where possible. 9. How long do dentures last? Some people will get longer wear out of the dentures than others, depending on various factors. Generally speaking, most denture wearers get five to seven years out of their denture. Contributing factors include how often you wear your dentures, your level of bone resorption, and personal denture care – especially avoiding any rough treatment or nasty accidents where you may damage or weaken the denture. 10. Can you use mouthwash if you have dentures? You may use mouthwash if you prefer, but it does not take the place of good dental and denture hygiene, the latter which involves brushing and cleaning your denture – as advised by your dentist or prosthetist. Mouthwash is only beneficial for the oral cavity. 11. How do I clean my dentures? Both your natural teeth and dentures need to be rinsed and brushed after every meal. Using a denture brush and a little soap and water, gently brush your dentures using the techniques shown to you by your dental hygienist. 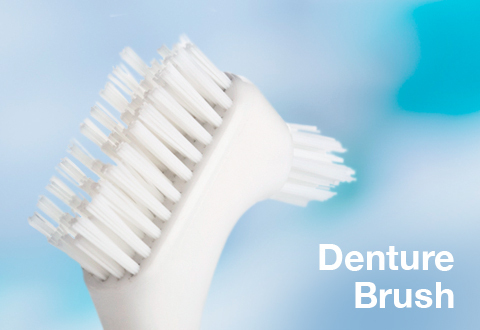 After cleaning, gently lay your denture down on a small hand towel next to your basin and let them dry overnight. There is no need to keep your dentures in a glass of water, which was once the protocol. If you’re unable to brush your dentures, for example, if you’re away from home, make sure you at least rinse your dentures – and your mouth – with water, which will help to keep any bacteria at bay. If you’d like to talk to us about new dentures, or a denture reline or repair, book an appointment today! Book a consult to discuss your dentures!